Although I wrote everything I know about squirrel issues for this website, oftentimes a problem with squirrels in the attic is beyond the scope of the do-it-yourself homeowner to solve. I have found a professional company in Montgomery, Alabama that handles problems with wildlife. 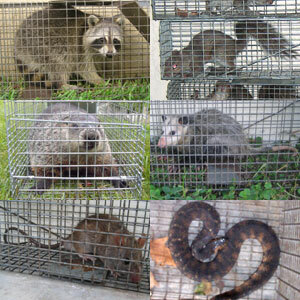 Velocity Rodent / Wildlife Control has access to tools, techniques, and experience that help them do a far better job at wildlife removal than a non-experienced homeowner could. They possess licensing that allows them to do certain types of work legally, that non-licensed homeowners in the state of Alabama are not allowed to do. For the welfare of your situation, and the squirrels, in some cases it's best to hire a pro. There are good companies and bad companies out there. I've done research on such companies, to get to know them, and feel confident recommending their services. I therefore recommend a company called Velocity Rodent / Wildlife Control which services Montgomery, Alabama. If you have a squirrel problem, or any other conflict with a wild animal, and live in Montgomery, I am confident that this company, Velocity Rodent / Wildlife Control, is the one to call. I asked the company to describe their service range, and they said this - Our coverage range includes most of Montgomery County and parts of Elmore County and Autaga County. We service many surrounding towns, including Millbrook, Wetumpka, Prattville, and smaller towns like Blue Ridge, Coosada, Elmore, Booth, Hunter, Manack, Hope Hull, Snowdoun, Mathews, Tyson, Pintlala, Waugh, Shorter, Wallsboro, Speigner, Pine Level, and more. Velocity Rodent / Wildlife Control operates 24/7, so don't hesitate to call at any time to discuss your wildlife problem, and schedule an appointment for same-day or next-day service. I have squirrels in the attic. Another company says they will get rid of the squirrels for $450.00 using fumigation. Do you want to make your estimate? Using fumigation? What company? If you call the AL agency which regulates chemical pest control, the dept. of agriculture, they will tell you that's absolutely illegal. Same if you call Alabamaa Fish & Wildlife. And will that kill the squirrels, or just drive them out? If it kills them, get ready for a horrible smell as they rot in your attic/walls. And fumigation wouldn't address the most important factor - the only way to solve a squirrel problem is to find and seal shut the entry holes they are using to get into the house. So if you did merely drive them out, they, or other squirrels would come back later. Good luck, and for your own sake, don't fumigate. In all my years I've honestly never heard of any company doing that, so I'm confused. I honestly don't even know how it would work. Like, tent the house? There are no registered fumigants that would even work on squirrels. Did you mean fumigation. If you have a squirrel problem in Montgomery County Alabama, or any other conflict with a wild animal, I am confident that we can solve it. We use humane methods when dealing with Montgomery wildlife removal situations. Squirrel Control Montgomery. Our company is fully licensed and insured in Alabama. Call us any time at 334-239-2790 for a price quote and to schedule a same-day or next-day appointment to solve your squirrel problem in Montgomery.